Stunning visuals and well-engineered gameplay are awesome, but true gaming nirvana can only be reached with complete audio immersion. 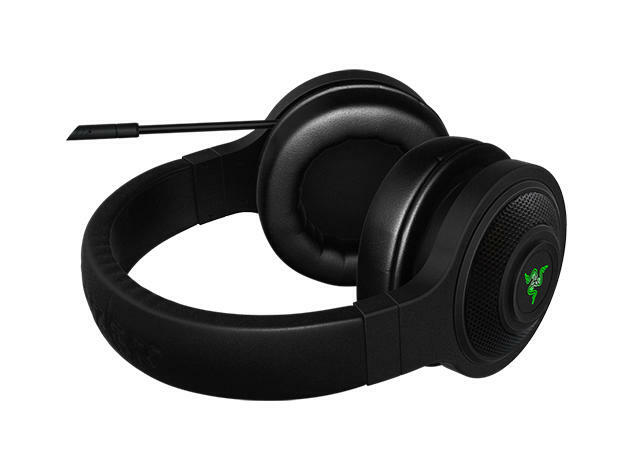 The Razer Kraken USB Gaming Headset will take you there with advanced 7.1 virtual surround sound and personal audio calibration. Right now, they're at an all-time low price of $39.99 in the TechnoBuffalo Deals Store. As one of the best reviewed headsets among gamers, the Kraken's virtual surround sound engine, courtesy of Synapse, truly delivers a 360-degree sonic environment that hurdles you even deeper into your gaming world. You also can get the exact audio calibration you want for any game using the Kraken's customizable settings. Meanwhile, the anti-noise unidirectional mic allows you to carry out team communication or even VOIP calls with crystal-clear clarity. Long session? No problem. The unit's padded earphones and fully adjustable headband have been field-tested by eSports athletes to guarantee a perfect long-term fit. Start playing in your personal sonic landscape with the Razer Kraken USB Gaming Headset, available for a limited time at just $39.95.